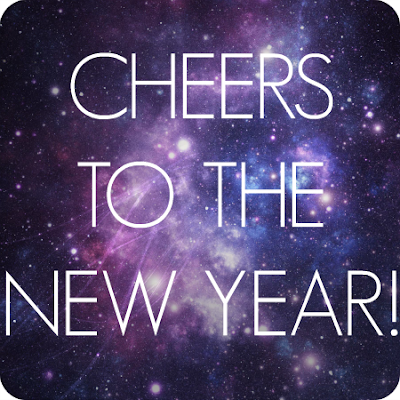 Christina Collins: Cheers To The New Year! It is officially 2014. The new year isn't magical and it can't automatically put you where you want to be in life. If you want this year to be yours, then make it yours. Reach for the stars! - Lose Weight! I'm sure this is on the top of every one's list. I'm not going to put a number on it. I just want to lose weight. Any loss is a good loss. - Get all of my photos into an album. Right now the majority of my photos are stored digitally. It's time to get those memories out of the computer and into an album. - Have a short story published in a magazine. This is probably the toughest goal I have set for myself. I love to write. Being published has always been a dream of mine, but I've realized I have to start small, and work my way up. - Continue to be an awesome mommy and wife. I'm far from perfect in my roles as mother and wife, but I can honestly say I think I do a pretty good job. I just want to continue being the best I can for the two I love most. And there you have it. Those are my goals for the year! Nothing to stressful, but enough to work on improving myself.